For his semester project, Alexandre Foucqueteau came up with a new application for a little multifunctional robot called Cellulo. 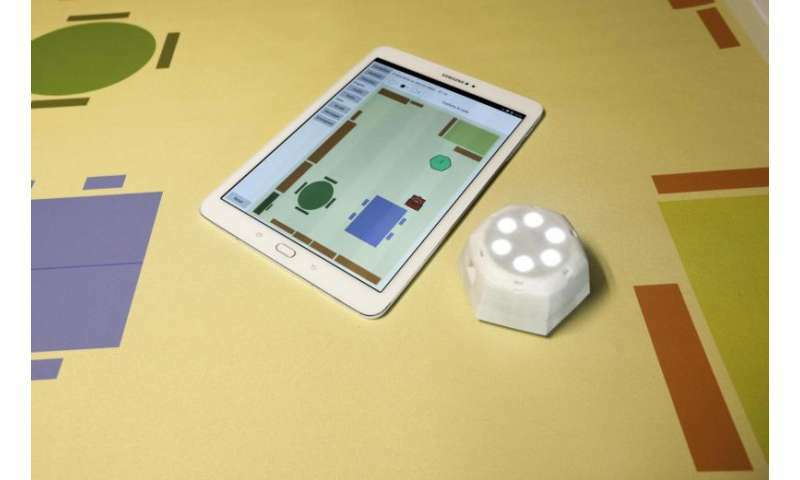 Created at EPFL two years ago, the robot can now help visually impaired children get around their classroom. The child moves the little robot around a map of the room. When the robot bumps virtually into something, such as a table or the teacher's desk, it can recognize the object. That may sound like a piece of cake, but getting a tablet to interact with the robot and recognize the objects was actually quite complex. 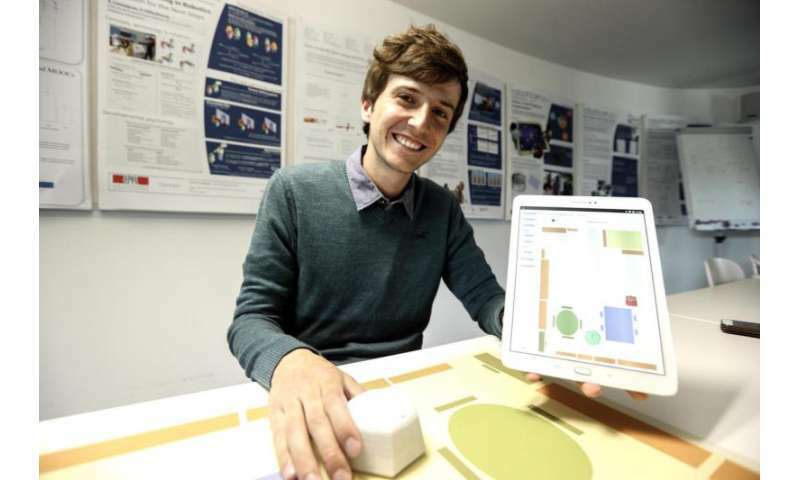 Foucqueteau worked on the project in partnership with Agnieszka Kolodziej, a PhD student from the cognition, language and ergonomics unit at the University of Toulouse who is studying spatial awareness and language learning among blind people. "I spent five months observing classes of visually impaired children aged between three and nine years old. The classes were very mixed, and the learning tools available did not really meet their needs. Thanks to our partnership with EPFL, we've been able to come up with a really fun and interactive project." That's how this new application for the little robot came to be. To enable the children to visualize the classroom in 2-D and understand where furniture is located, Foucqueteau had to create a model of the room and teach Cellulo to clearly indicate anything blocking the way. "This is how it works: the robot stops, moves back and vibrates when it touches something. The child then has to say what the robot has hit. If the child is spatially lost and doesn't know, the tablet can say what it is – the crayon cupboard or the teacher's desk, for instance." Cellulo is particularly solid and easy to handle. Its mechanism is magnetic, which means it's not easily damaged. It can also be moved quickly without breaking. So children can take their time to find their way – they can bump virtually into every cupboard, chair and table if need be. The teacher can also program the robot to follow a given path.